During my trip around Croatia, I had a tough call to make. I needed to decide if I would head north to Istria or south to Dubrovnik for my last week. In the end, I decided on Dubrovnik because I know I want to spend longer than a single week traveling around Istria. I think I made the right decision in heading south, but I made the wrong decision making Dubrovnik my home base for the week. The good news is that you can learn from my mistake! While I loved Dubrovnik, I would advise staying in Cavtat during your visit. It’s an easy bus or boat ride away from Dubrovnik so you can still see the sights, but it is a more peaceful and less expensive alternative to make as your home base. If having a very lively party scene is important to you, Cavtat will not be a good fit. But for those traveling with family or for anyone who prefers a more quiet and relaxed destination, you will be in exactly the right place. 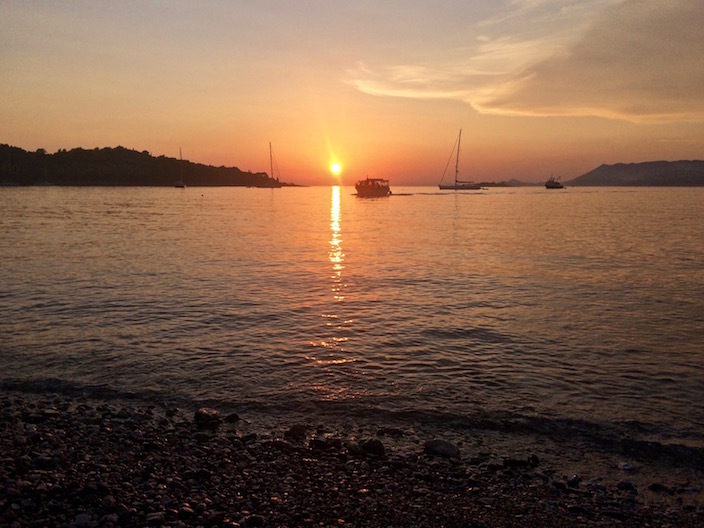 If the photos themselves aren’t enough, here are a few reasons to spend your Croatia holiday in Cavtat. Take a stroll through Cavtat’s Old Town and you’ll instantly love the charm of this small village. Along the coast is a mostly shaded footpath that will lead you right into Old Town, and it offers beautiful views the whole way. Discover restaurants, shops, history, cafes, swimming, snorkeling, and more. If you’d rather spend your time on a small beach with few people than the big crowded beaches, Cavtat has just what you need. All along the coast you can find small beaches and rocky areas to swim and soak up the sun. I spent an entire day enjoying one of these tiny beaches yet was still able to enjoy a tasty ice cream cone from a nearby cart to cool off from the afternoon heat. 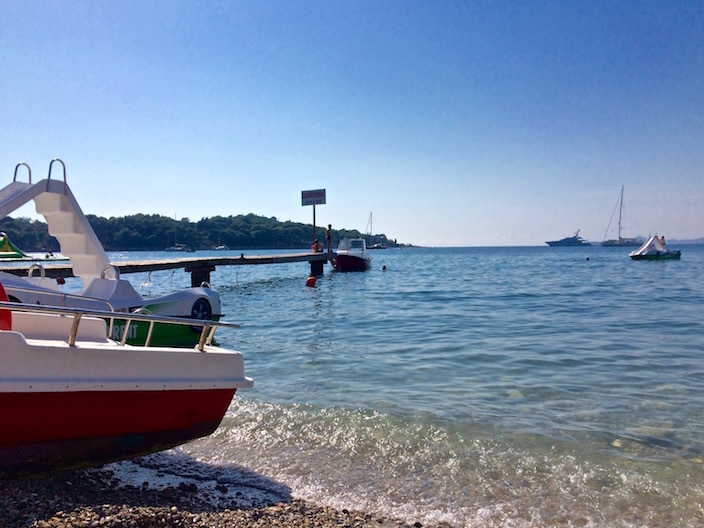 Aside from swimming, there are plenty of opportunities to stay active in Cavtat. Although I kayaked in Dubrovnik, the coast along Cavtat still makes for beautiful scenery when you’re out on the water. 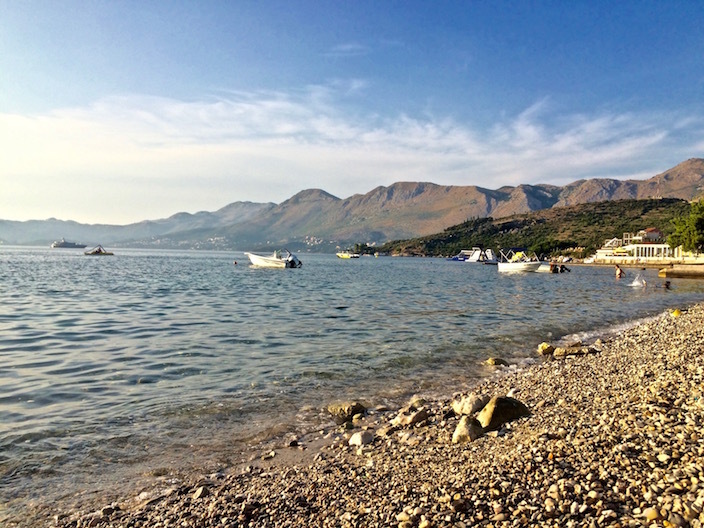 With a perfect 5-star rating on TripAdvisor, I would say Sea Kayaking Cavtat will be your best bet! If you’re up for even more of a challenge, take on the 5-mile (8-kilometer) Ronald Brown Pathway, a rocky climb of about 2300 feet (701 meters) that will reward you with incredible Croatian views. Before making the ascent, learn from the mistakes of others so you don’t make the same ones along your trek. 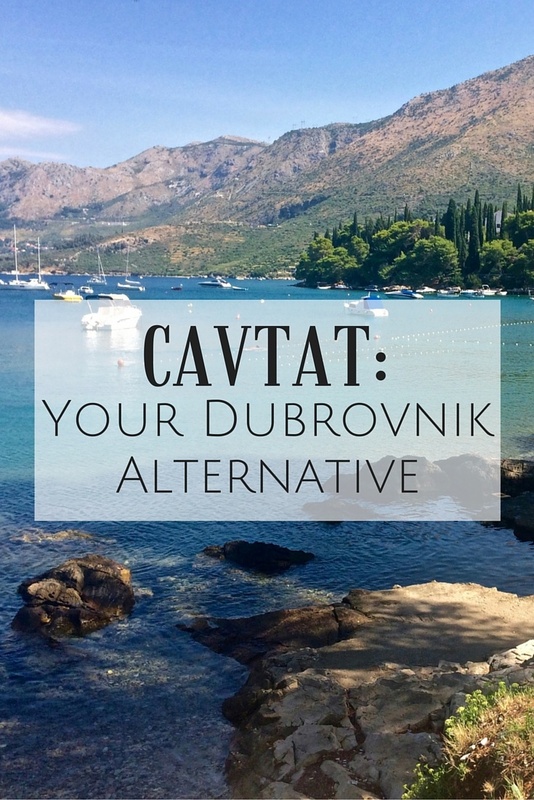 When you feel like you’ve run out of things to do in Cavtat, there are plenty of day trips you can take to explore the surrounding areas — the same ones that you can do from Dubrovnik. Even with a tour company, many of them will pick you up in Cavtat if you ask. 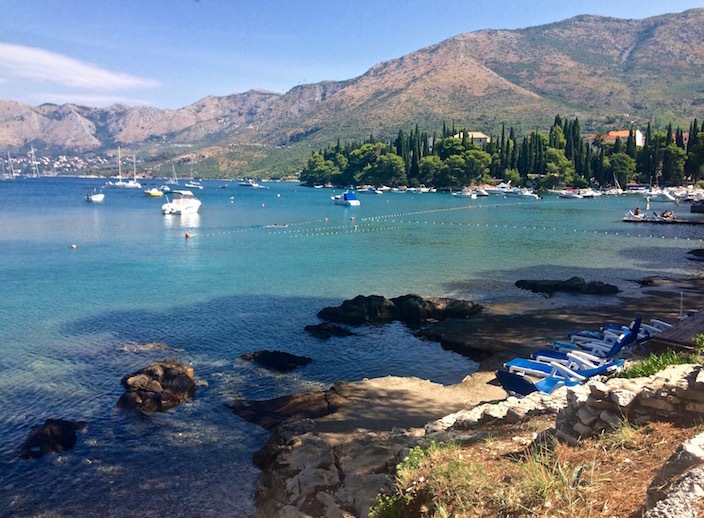 When I visited Montenegro with Adriatic Explore they dropped off a few people at a hotel in Cavtat, so it’s worth asking any tour company about pickup options if Cavtat is on the way. Bosnia and Herzegovina is another nearby day trip worth a visit, and of course you’ll want to spend some time exploring Dubrovnik. If you don’t have a car, the best way to get to Dubrovnik from Cavtat is either by bus or boat. The #10 bus is the more economical method, costing about 25 kuna (less than $4) and is a quick half hour ride. The boat will take about 45 minutes and costs 50 kuna (about $7) one way, still a steal for a leisurely cruise along the coast. Depending on the time of year or if the weather is bad the boats may not run, so be sure to keep the bus in mind as a backup. 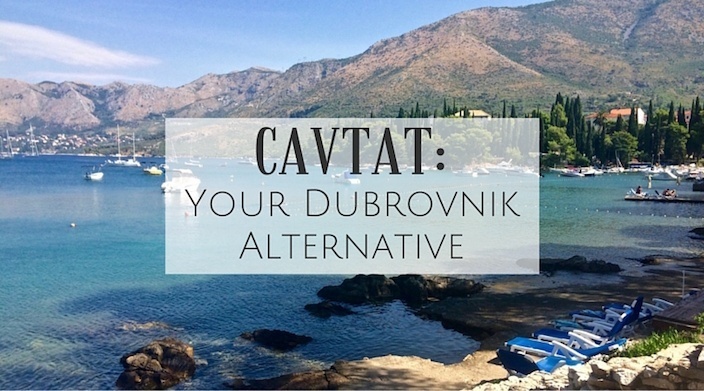 There are tons of options for affordable places to stay in Cavtat. I stayed at Apartments Šiljug, which was only about a 20-minute walk from the center of town. For $48/night (sometimes even less depending on the season), I enjoyed a newly remodeled studio apartment with a fully equipped kitchen, balcony, and private bathroom. This was the perfect place to end my Croatia trip as the Dubrovnik airport was only three miles away, and pre-arranged airport pickup/drop-off was arranged through the apartments where I stayed. When you plan your trip to the Dubrovnik area, take a look at your options in Cavtat. 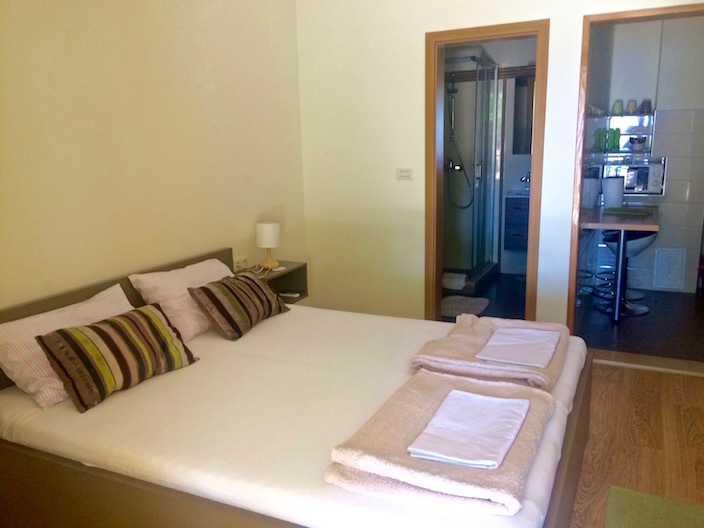 You may find staying there suites you much better than lodging options among the tourist crowds in Dubrovnik. I know I will be staying in Cavtat again during my next visit! 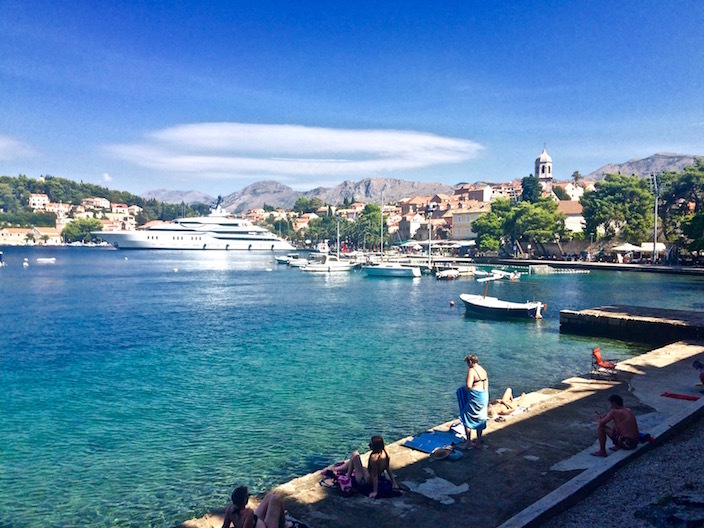 Cavtat is lovely, romantic and all that …. but if you really want to have peace and quiet, go to Mlini. Mlini is a picturesque little fishing village, located between Dubrovnik and Cavtat. The downside of Cavtat is the nearby airport, so during peak holiday times, you have a plane arriving every half hour or so. Thanks for the recommendation Irene, I will be sure to visit Mlini next time! It was my last night so I was looking to stay near the airport, but Mlini sounds right up my alley for the next Croatia trip I take! Hi Marissa! Dubrovnik is really beautiful town and must-see place to visit. So many historical attractions to see and hear about rich history of Dubrovnik and Croatia in general. Also, many islands and beaches to see. We were there this summer and we booked a full day boat tour for Elafiti islands and this was the peak of our Dubrovnik visit. Not sure if I can recommend but we booked with Dubrovnik Boat Rent and only excellent comments I can give. Thanks I’ll have to check it out next time! We stayed in Cavtat in September 2017 and loved it. It was beautiful and much better suited to us than busy Dubrovnik. We had no problems being picked up by our tour operator there for 2 day tours that we had arranged before we arrived. Ideally situated near the airport, as we had very unsociable flight times!! I would definitely go back and stay in Cavtat. So glad to hear that Denise! Cavtat is definitely underrated. I agree that I would also stay there again if I return to the area!